St. John’s wort, or Hypericum perforatum, is a yellow flowering plant and medicinal herb that is sold over-the-counter. There are approximately 370 species of the genus Hypericum worldwide that are native to the regions of Europe, Turkey, Ukraine, Russia, Middle East, India, and China. St. John’s wort, or Hypericum perforatum, is a yellow flowering plant and medicinal herb that is sold over-the-counter. There are approximately 370 species of the genus Hypericum worldwide that are native to the regions of Europe, Turkey, Ukraine, Russia, Middle East, India, and China. Other names for the herb include Tipton’s weed, rosin rose, goatweed, chase-devil, or Klamath weed. 1. St. John’s wort may be used to treat depression. It has been well known that St. John’s wort can be used as an herbal treatment for depression. A study of 29 clinical trials with more than 5,000 patients was conducted by Cochrane Collaboration. The review concluded that extracts of St John's wort were better than the placebo in patients with major depression. 2. St. John’s wort may treat Parkinson’s disease. Research from the Universidad Complutense de Madrid (UCM) suggested that St. John’s wort possesses antioxidants that could help reduce neuronal degeneration caused by Parkinson’s disease. 3. St. John’s wort may treat for premenstrual syndrome. The University of Leeds in the United Kingdom produced a double-blind study and has concluded that St. John’s wort is more effective than placebo treatment for the most common physical and behavioral symptoms associated with premenstrual syndrome. 4. St. John’s wort may treat for irritable bowel syndrome. A randomized, double-blind study from the Mayo Clinic suggested that St. John’s wort has the potential to treat individuals with irritable bowel syndrome. 5. St. John’s wort may have antiviral and antibacterial activities. A randomized controlled study found that St. John’s wort contains chemicals like hyperforin and pseudohyperforin, which contain activities that photooxidizes pathogens and kills them. 6. St. John’s wort may be used for alcoholism. An active chemical in St. John’s wort, hyperforin, may be useful for treatment of alcoholism. However, dosage, safety, and efficacy have not been investigated yet. 7. St. John’s wort may help with memory. 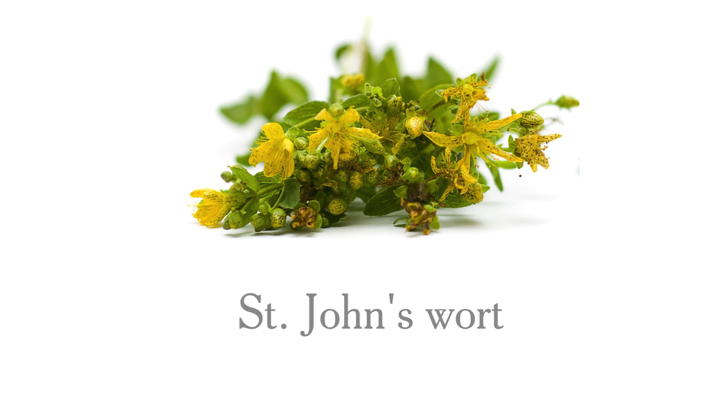 Studies have shown that St. John’s wort could alleviate long-term age-related impairment in rats.